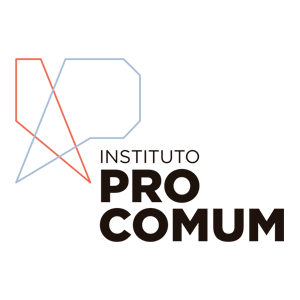 The year 2017 was the growth and consolidation of the Procomum Institute in Santos, on the coast of São Paulo, Brazil. We are working as a network in the construction and promotion of common goods and using citizen innovation and free culture to improve people’s lives and solve local problems. Among other projects, we carried out the first edition of the LABxS Circuit – our citizen innovation festival in which 13 ideas were selected in a public call and carried out actions to promote common goods in the Baixada Santista. The festival was marked by collective work and strengthening of citizenship. With all that we have learned, we have developed the Maral methodology so that the festival can be replicated in other territories and by other organizations. Have you considered promoting low-cost actions of citizen innovation? The Procomum Institute has reached an agreement with a former Social Association and now has a headquarters for Lab Santista. We have a house of 1500 square meters in the center of Santos-SP to build, experiment and promote the commons and create together. # LABxS 2018 Circuit: The second edition of our festival of citizen innovation is receiving proposals via a public call and will happen between the months of May and June. # LABxS Colaboradora: Also in April will be the launch of our new project Colaboradora. We will select 15 artists and cultural producers to work at Lab Santista’s headquarters for one year developing community art works.